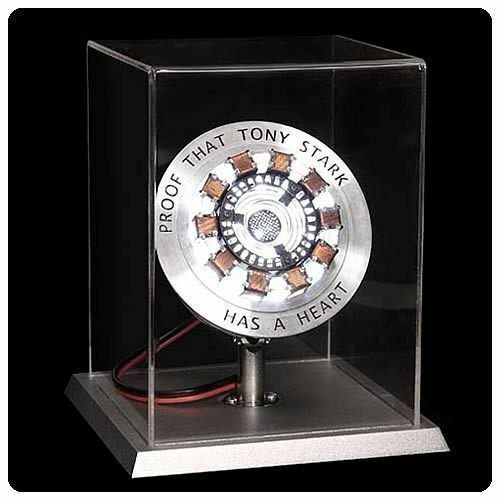 Film-true prop replica of Tony's Arc Unit in the smash-hit Iron Man movie. Machined metal and plastic construction, with LED lights. Includes display stand and case, and full-color certificate of authenticity. Own the definitive prop from this storied franchise and Marvel hero. Et maintenant, j'ai son coeur entre mes mains hé hé hé !! !